The Milton Maze will open on 19th July Early Bird Tickets are now sale on our Maze website. We are now interviewing staff for the Summer click on our Jobs page to upload your CV. The Chapman family have farmed at Rectory Farm since 1988 having taken it over from an uncle, David Bull whose family had farmed here for many years. Over the years the farm has seen many changes, with Poultry & Christmas tree sales in the late 1980’s, a small farm shop to sell the farm’s produce to start with followed by the County’s first Maize Maze in 2003 which took the form of the farm’s scarecrow. 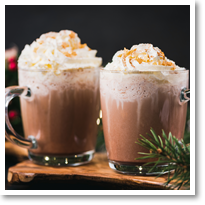 • Christmas Poultry From Wednesday 4th November for telephone orders or online now. • Christmas Trees & Christmas Barn Saturday 24th November. • Commercial & Large Christmas Tree orders – these are available earlier phone 01223 860374. 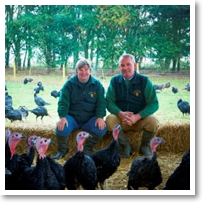 We will once again be taking orders for delicious Appledore Free Range Bronze Turkeys from the beginning of November. Our poultry is slow grown to full maturity and hung to ensure an excellent flavour and reared under strict codes of to ensure high welfare standards. Succulent large Christmas chickens are also available for the perfect alternative. To save you time and money we are once again selling Grasmere Essential Kits these include a small 4 lb gammon joint (unsmoked), 1 lb Lincolnshire Sausagemeat, 1 lb Lincolnshire Chipolatas, 1 lb streaky bacon and a choice of either Sage and Onion Stuffing or Chestnut Stuffing these have proven to be very popular so remember to place your order by 1st December. Although we will have some weights of Poultry available into December it is always wise to place your orders in November. After searching far and wide we have bought together a huge and exciting range of Christmas Decorations, Gifts, Table Ware, Candles & Stocking Fillers to suit every pocket. We have a comprehensive range of lights for your tree; both fairy and led, inside and outside. 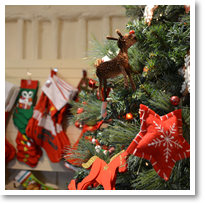 The Christmas Barn opens on 24th November and closes on Sunday 23rd December. The Christmas Barn and Christmas Tree Yard will be closed on Mondays. 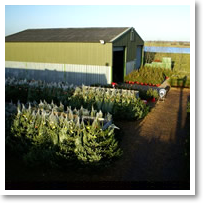 From the end of November our farmyard will be full of Christmas Trees for you to choose from. We have Nordmann, Fraser, Omorika and Norway Spruce. Whether you like your tree pot grown, sawn or blocked, you will find it here at Rectory Farm. Once you have chosen, we will net your tree, free of charge for safe onward transport! We also sell Christmas tree stands and locally made wreaths to decorate your home. Last but not least don't forget your Mistletoe! We are currently taking commercial orders for the larger trees for hotels, shops and local pubs, telephone 01223 860374 if you need to discuss your tree requirements before 26th November. Whilst you are visiting our Christmas Barn and yard full of Christmas Trees you are welcome to look in at our indoor Christmas Walk with Christmassy scenes and beautiful lights. This is complementary to Rectory Farm Customers.